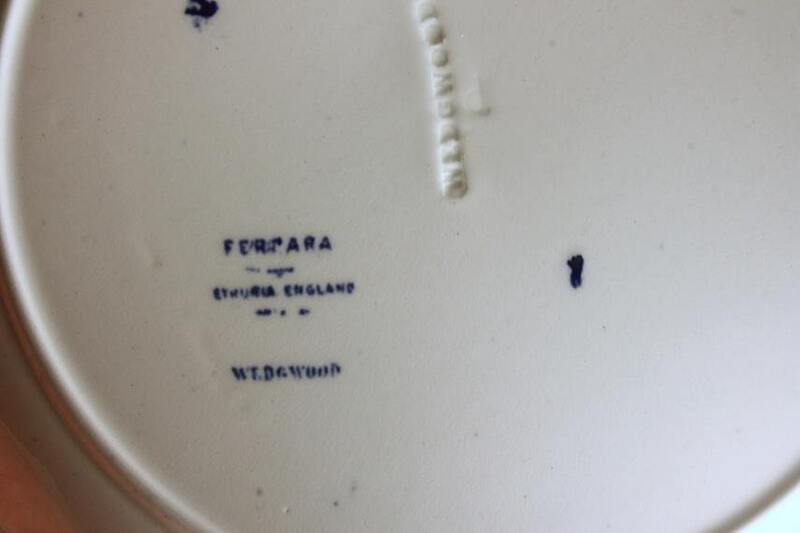 A wonderful antique dinner plate by Wedgwood in the Ferrara Blue pattern. 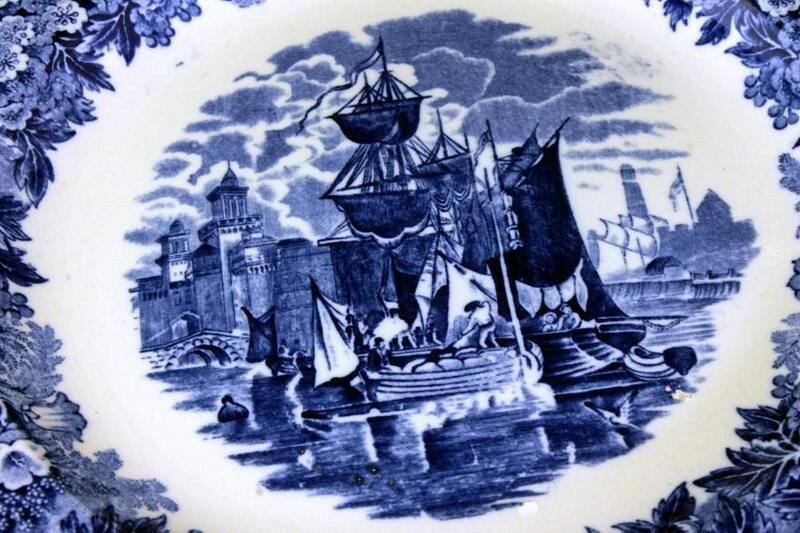 This is transferware that depicts ships and buildings in the center and flowers around the rim. 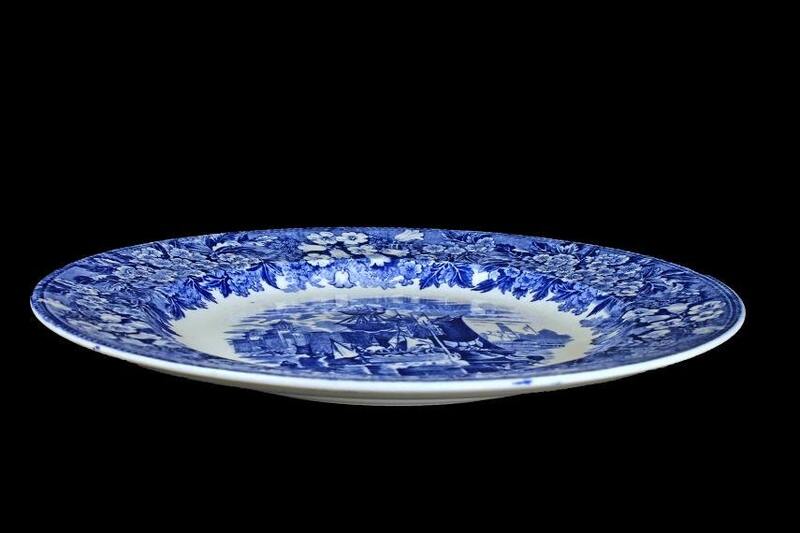 It would be a great serving dish at a tea for cookies or pastries. 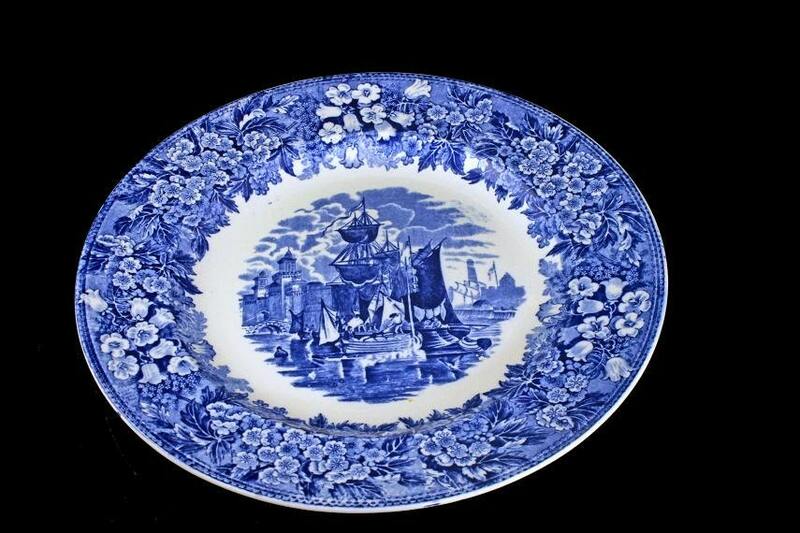 A gorgeous decorative display plate when added to a china cabinet or for the collector. This plate is in excellent condition. There are no chips, cracks, scratches or crazing. 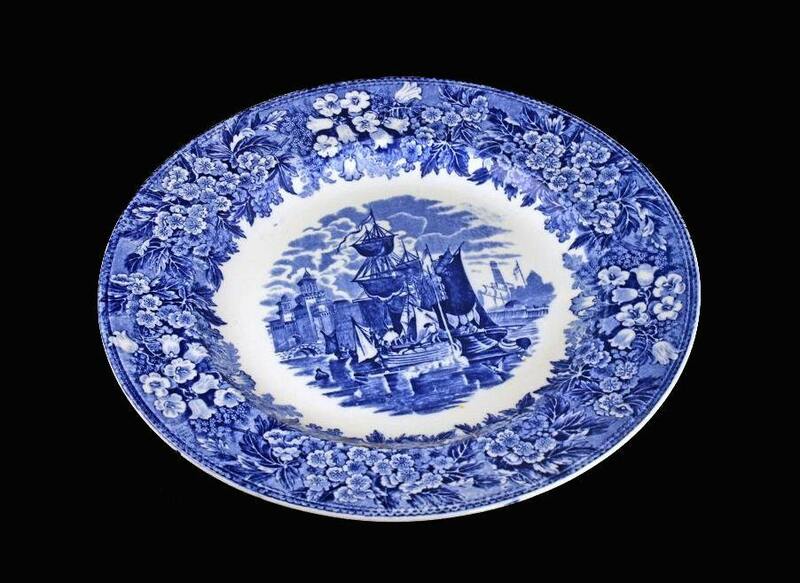 This is a lovely plate from a bygone age and it's looking for a new home and it could be yours.